Doing transactions with real estate requires a lot of effort and time, as well as the special knowledge. However, not everyone has the opportunity and desire to delve into the legal subtleties and spend hours studying the ads. In this case, it is worth thinking about how to turn to a professional. However, attracting real estate agent in Jersey City to the case is usually a last resort. 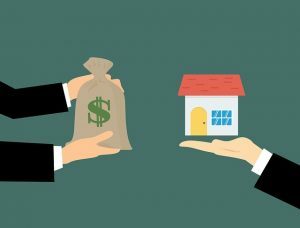 In the minds of ordinary citizens, the stereotype is firm, that the realtor primarily cares about his own profit, trying to increase the price of selling bad real estate to a naive client. Of course, no one is safe from meeting with real estate frauds. However, the situation has changed a long time ago. A good agent will help significantly reduce the time of searching for the desired apartment or buyer. And also verify the legal purity of the transaction. Of course, everything for a reasonable fee. But, always be careful. So before you hire packing services in New Jersey and start moving, choose a realtor wisely. The choice of a realtor is a matter of responsibility because real estate transactions can last for months. And very substantial amounts are at stake. So, there must be a complete mutual understanding between the client and the realtor. Otherwise, instead of productive cooperation, you can waste time and nerves on useless negotiations. Most people prefer to look for a real estate agent in Jersey City on the advice of relatives and friends. This is not surprising: only your enemy will advise you an incompetent specialist. That’s why realtors in Jersey City carefully monitor their reputation and try to avoid participation in dubious transactions. As a rule, the first conversation with a future agent takes place over the phone. Pay attention to how polite and attentive the person is. See whether he gives detailed answers or tries to quickly turn off the conversation. Do not be afraid to immediately ask questions on the merits. If you want to buy an apartment, ask the number of options that he can offer in a particular area. Also, check if he would help you evaluate rental real estate. A good specialist will always find time to answer all the questions of the client in detail. Checking the documents that confirm the powers of a real estate agent in Jersey City is essential for successful cooperation. At first, visit the office of the agency. Ask them to show you the charter documents, the certificate of state registration and the tax registration. By the way, these documents will help to form an indirect idea of the reliability of the realtor. Before you make an agreement with the real estate agent in Jersey City, carefully check his license. It is also necessary to verify the powers of a particular person with whom you will cooperate. Find out whether the agent has the right to sign contracts with the clients and which ones. If the agreement states that the powers are regulated by the statute, then it is necessary to ask for a document and see who and when was appointed to this post. Remember that an honestly working organization does not make secrets out of this information. Any hiccups in such matters involuntarily arouse suspicions. Find out on what basis the company occupies the premises in which its office is located. If the actual location does not coincide with what appears in the charter documents, there is a reason to think. Scammers often rent the first room that they find, and the legal address is actually a non-existent address. And if they can’t find the appropriate address, how will they find you the right neighborhood in Jersey City? In addition to the objective features that distinguish a competent specialist, do not forget about your own feelings. Psychologists say that when you communicate with the ideal agent, you should feel a sense of calm. During the conversation listen to yourself and decide whether you are ready to meet this person 5-10 times more. If not, you should think about looking for another estate agent. The subject of the contract. 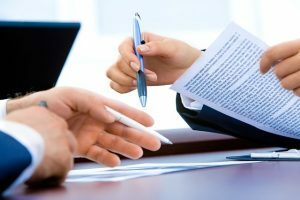 In the agreement has to be the reason for concluding the contract (sale/purchase of real estate, rent of premises, etc.). Also, terms and cost of services, as well as conditions for termination of the contract. Who needs to prepare all necessary documents: client or agency. The duty of the client to assist the real estate agent in Jersey City: to provide a chance to view the real estate object, to come at the appointed place and time, to issue a power of attorney to the agent to collect documents, to provide the necessary reliable information about himself (residence, marital status, etc.). The possibility for the client to change his wishes. When choosing a real estate agent in Jersey City, remember that his main professional qualities are honesty and responsibility. A real estate agent should be interested in getting the maximum benefit for the client, not just the commission. However, a real expert will not promise you the moon or agree with all the requirements. Such compliance is often a sign of an inexperienced agent or professional fraud. Selecting the right real estate agent in Jersey City is one of the most important tasks. And after you do that, the next thing is hiring one of the New Jersey moving and storage companies. They will help you make your move an enjoyable event. Have fun in your new home!